A mirror is usually the most favorite product of ladies, because they quench the thirst of their self obsession by repeatedly seeing their face in the mirror. Another positive perspective of a mirror is that it never lies to you, it always portrays what is just, what is fair and true. We spend bunch of dollars in beautifying our home interior, we buy wall mirrors we buy chimes we buy chandeliers and what not, to make our place exceptionally well. My wife always remains pretty conscious in the selection of bedroom mirror. She is very specific about the mirror, its shape, its size and even its stand or make. While we talk about driftwood, it’s a great trash of nature by the act of winds found on sea shores and beaches. This is basically a marine debris, which provides food and shelter to different birds and other aquatic species. This very driftwood is used in numerous art crafts and furniture products. Even in our website up cycle art we have used them in many practical art crafts which offer us more utility and delicacy than their typical alternatives. 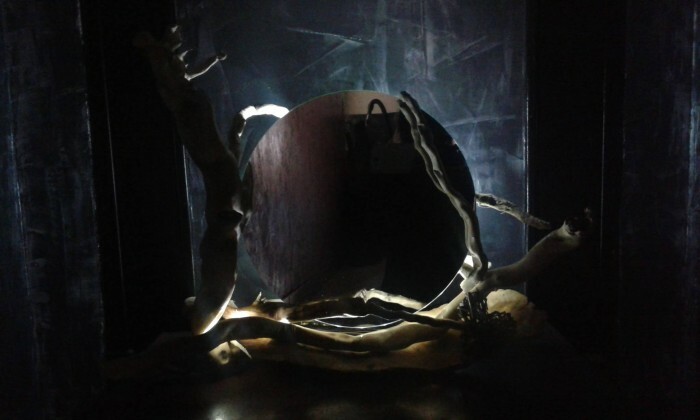 Now again here we have come up with a great idea of driftwood eclipse mirror. Every one of us is damn specific about our bedrooms, we want them to be more personalized and arranged according to our priorities and choices. 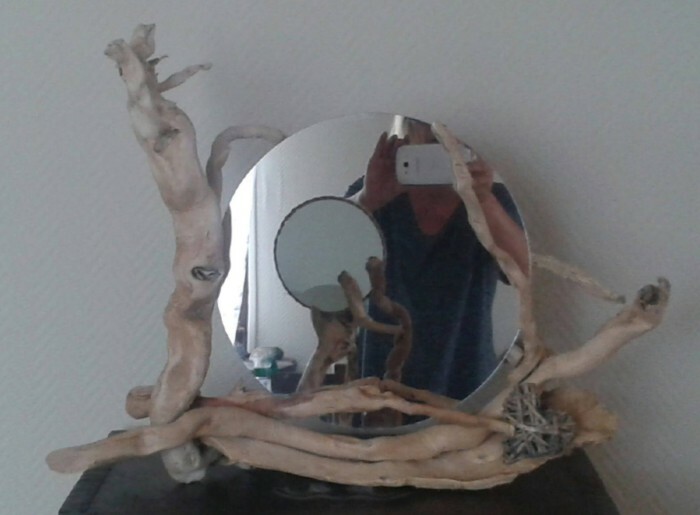 Let me assure you, this driftwood eclipse mirror is going to stand tall in the list of your choices. This would give your room more personalized look and would become a statement of your aesthetic sense and taste as well. You would enjoy your morning’s first look in this driftwood eclipse mirror, this driftwood eclipse mirror is over loaded with style, personalization and sobriety. This is going to be the best article of your room interior.